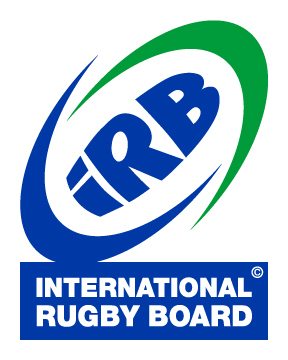 Excellent conference held by IRB in Dublin yesterday regarding exploring the options for a One Turf concept for artificial turf. Brining experts, manufacturers and NGB's together, the concept is to create a standard which will allow many sports to be played on one turf system with one applicable specification. 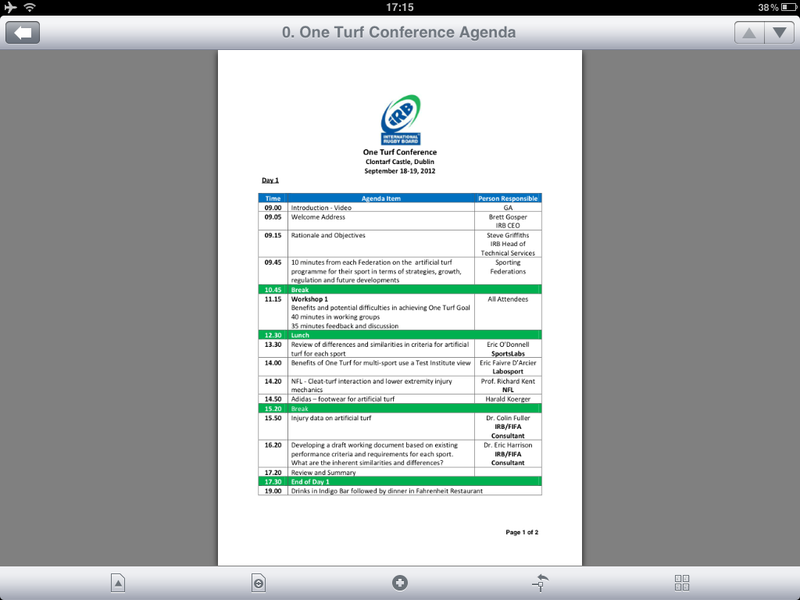 There was an excellent international speaker list and papers presented see day 1 programme attached, the morning sessions explored the rationale and objectives for creating a One Turf standard. Afternoon sessions included exploring the similarities/differences in current specifications, footwear issues and testing, exploring the shoe surface interaction, injury data on artificial turf, and then proposals for developing a common standard. This might be the first steps in possibly streamlining the proliferation of standards which exist at the moment.
. This season will see artificial pitches allowed in all FA competitions for the first time. The 2012-13 season will see artificial pitches allowed in all competitions run by The Football Association for the very first time. The new ruling, passed by The FA Cup Committee on Thursday, means that artificial pitches will make their debut in The FA Cup with Budweiser from August and will be allowed up to and including the Fourth Qualifying Round of the competition, providing they are registered with The Football Association. The FA’s Competition’s Manager, Steve Clark, explained the pitch protocol for clubs playing beyond the Fourth Qualifying Round of The FA Cup: “In the Competition Proper, all ties must be played on natural grass pitches. “If any club with an artificial pitch reaches the First Round Proper and is drawn at home, then they will need to switch to a ground of a club who are both an FA Cup entrant and have a natural grass pitch,” added Clark. Other FA competitions to allow artificial pitches are The FA Carlsberg Trophy, FA Carlsberg Vase, Sunday Cup, Women’s FA Cup, County Youth Cup and the Qualifying Rounds of The FA Youth Cup. Sport and Play Construction Association announced yesterday that NVQ level three qualifications shall be available for front line skills. 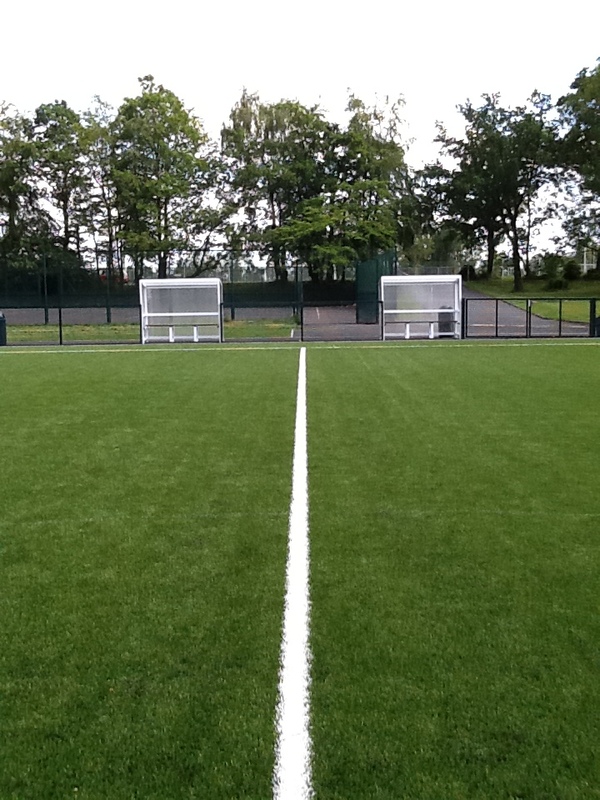 Actual turf installation, shock pads, polymeric surfaces, play surfaces and equipment, base construction. This is a significant move forward for the UK sports and play construction sector and provides a platform for improving skills for those coming into the industry. Improving skills = better quality pitches, tracks and play surfaces this is the bottom line. See article attached.